With the elections over, many of the newly elected MEPs are now coming together to form or join transnational political groups in the Parliament on the basis of their political affinities. Political groups enjoy certain advantages, but to be recognised as a group, they need to meet some requirements. The official political groups forming the Parliament should be created by late June in time for the first plenary session on 1 July. To be recognised as a group, it must consist of at least 25 MEPs and have members respresenting at least one-quarter of member states (today at least seven). Once a political group has been set up, the EP president must be informed about its name, composition and leadership. Each group takes care of its own internal organisation by appointing a chair or co-chairs, a bureau, and it is also provided with a secretariat. Political groups play an important role in setting the Parliament’s agenda, choosing the EP president, vice-presidents, committee chairs and rapporteurs, and in the allocation of speaking time for debates. Also, groups enjoy additional support. Some MEPs do not belong to any political group and are known as non-attached. 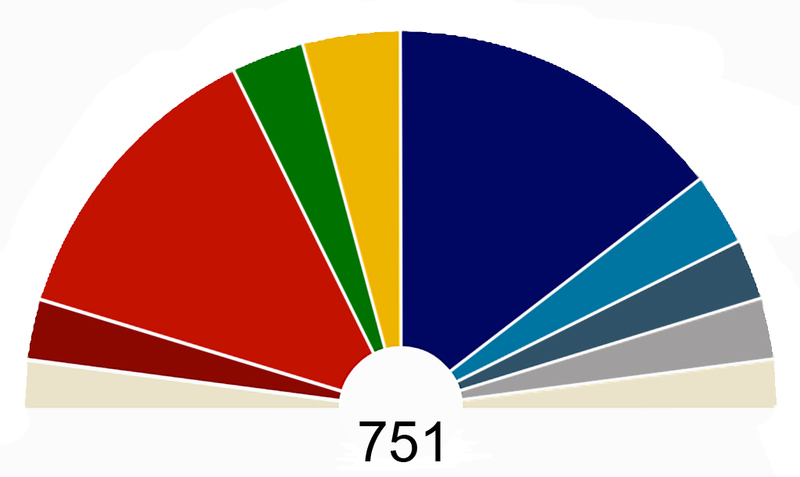 In the outgoing Parliament, there are seven political groups, representing more than 100 different parties from 28 member states.